Micromax launched the successor to its Canvas Amaze, the phone is named as the Canvas Amaze 2. The phone is priced at Rs. 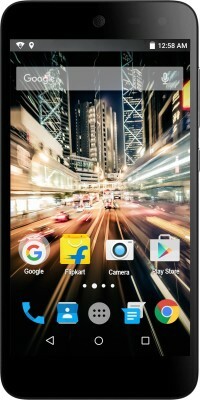 7,499 and it is available on Flipkart. The Micromax Canvas Amaze 2 has a Better Battery, More Internal Storage and most importantly 4G Support as compared to Canvas Amaze. Commenting on the new smartphone, Mr. Shubhajit Sen, Chief Marketing Officer, Micromax Informatics said, “With the launch of new Canvas Amaze 2, we are looking at offering a seamless and connected smartphone experience, which makes their lives simpler and at the same time more amazing with benefits that come with the smartphone. 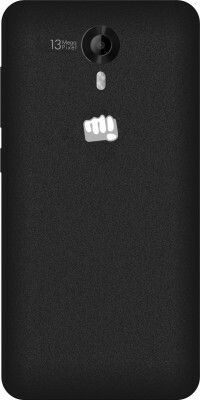 Micromax Canvas Amaze 2 has a 5-inch IPS HD display with a screen resolution of 1280 x 720 Pixels protected by Gorilla Glass 3. It is powered by a 1.4GHz Octa-core processor with Qualcomm Snapdragon 415 MSM8929 chipset. It has 2GB DDR3 RAM and 16 GB of internal storage which is expandable up to 32 GB with a microSD card. Operating system on the phone is Android v5.0.2 Lollipop. Talking about the camera, it is equipped with a 13 MP Autofocus Primary Camera with Dual LED Flash and Full HD video recording @30fps. Front has a 5 MP Fixed Focus Camera. Connectivity options include 4G, 3G, Bluetooth v4, Wi-fi, microUSB and 3.5mm Audio Jack. This dual SIM smartphone is backed by a Removable 2500 mAh Li-Polymer battery which gives upto 8 hrs of talktime and 273 hrs of standby time (2G) . Sensors on the phone include Light Sensor, Gravity Sensor, Proximity and Magnetic Sensor. The phone is available on Flipkart at Rs. 7,499 with an Exchange offer up to Rs. 6,000 on old functional devices. It is available in Black color and comes with 1 Year Manufacturer Warranty for Phone and 6 Months Warranty for in the Box Accessories. In the box it contains Handset, Transceiver, Charger, Battery, Hands-free, USB Cable, User Guide, Warranty Card and Screen Guard. You can also pay by EMI which starts at Rs. 364. This product is tagged with the Flipkart advantage badge which means it is quality checked, stocked and shipped by Flipkart and also backed by 30 day return policy.